Learning to read and the teaching of reading have long been surrounded with controversy. Originally published in 1969, this book takes the view that the subject is best approached via linguistic theory. The relationship between reading and spoken language is clearly brought out in the author’s attempt to define more closely the area in which the teacher has to operate when teaching children to read. 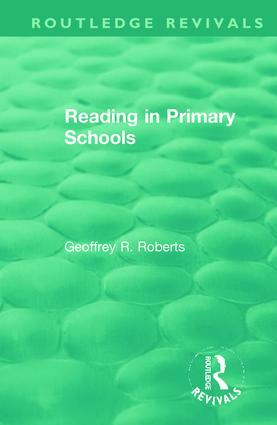 His analysis of reading problems in children up to the age of 11 will encourage experienced teachers to question constructively their own beliefs and practices, while the book as a whole provides a valuable introduction to the psychology of reading for the student of education. 1. Introduction 2. Skilled Reading 3. Learning to Read 4. The Organization of Reading in the Classroom 5. Reading in the Junior School 6. Quicker Reading in the Junior School 7. A Method to Meet the Needs of Backward Readers 8. The Task of the Teacher 9. Training Students 10. Sources of Books for Children. Bibliography.